CML-MTD Construction Ltd., part of the Walkers CML Group, announced that the construction of the first phase of the Upper Elahera Canal Project (UECP) requiring complex engineering solutions is well underway and progressing at full speed. Claiming to be the largest Mahaweli water project in Sri Lanka since 1998, and one of the longest canals in South East Asia, the UECP is an Asian Development Bank funded project of the Ministry of Mahaweli Development and Environment. The initial phase of the canal construction was awarded to CML-MTD Construction following an international ICB tender bid. The ability of the Walkers CML engineering and construction arm in securing this large-scale canal project with inherent complexities and requiring advanced technical engineering, is proof of the advancement of the domestic construction industry’s ability to challenge and secure projects which were conventionally awarded to foreign contractors due to Sri Lankan companies not possessing the required level of engineering competencies and experience. The multiple project experience of CML-MTD Construction in the past, in varied fields such as earthworks, mass rock excavations, system formwork and high-performance concreting, backed by a cadre of over 400+ highly skilled engineering professionals of which 170+ are graduate or higher, using the latest construction technology, has provided the company with a solid resource base to undertake this complex project involving the construction of a massive seven-metre diameter cut and cover conduit. Walkers CML construction work on the canal continues and under strict guidelines of the environmental and wildlife authorities to ensure minimal effects to the surrounding wildlife eco-systems. This involves strict guidelines on no-disruptions to elephant crossings and the replacement of excavated land over new canal pipes following underground construction work. Wildlife conservation guidelines also stipulates that only 50 metres can be excavated at a time, which requires Walkers CML to adopt efficient ‘cut and cover tunnelling’ techniques and gradual sloping to progress the canal construction in shorter stages and with minimal disruptions. 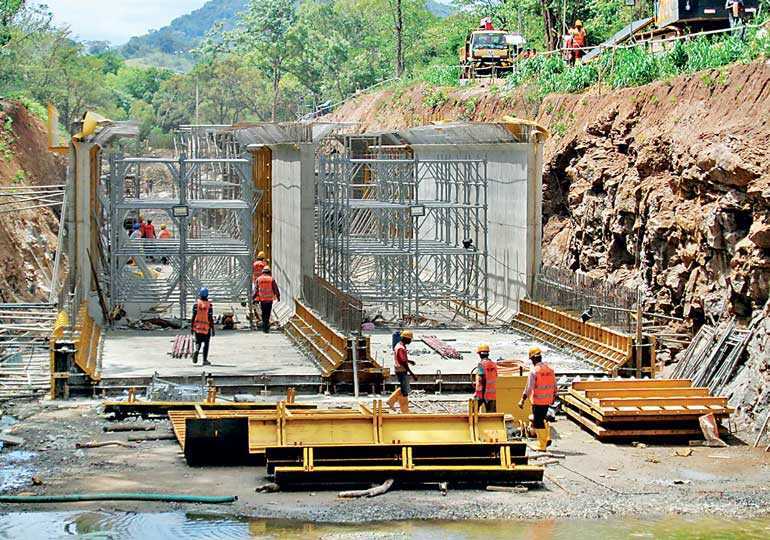 The Upper Elahera Canal totalling a length of 65+500 km, once completed will transfer water from the Mahaweli Moragahakanda reservoir to Huruluwewa reservoir in Yan Oya basin in the North Central Province Canal, and Mananakattiya-Eruwewa-Mahakandarawa cascade system in Malwathu Oya basin, and reroute the present supply of water from Huruluwewa Feeder Canal (HFC) to Huruluwewa, Nachchaduwa and Nuwara Wewa via this canal. This rerouting of water will facilitate the transfer of approximately 100 MCM of water annually to the North Western Province. Following the first phase of the canal construction work by Walkers CML, and subsequent second and third phases of UECP, it will better enable conveyance of domestic and industrial water to the areas in concern. The reservoirs will feed existing irrigation and water supply schemes in the surrounding areas, allowing for agricultural lands to be cultivated in both Yala and Maha seasons without the interruption of water supplies. The canal project will provide employment opportunities during project implementation, improve access to safe drinking water and create a positive impact on the environment and people due to the recharge of ground water table following water transfers through the newly constructed canal system. Walker CML Group Executive Deputy Chairman Jehan Amaratunga stated that this project is yet another one of the Group’s signature infrastructure projects that is secured to be delivered in the coming years and another great opportunity to work with the Government of Sri Lanka in aiding the acceleration of local and national economic growth in the country.